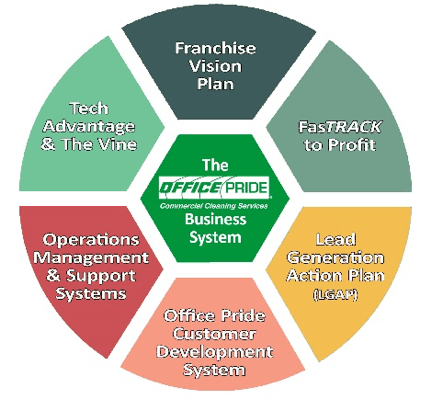 As an Office Pride franchisee, you will enjoy the benefits of running your own business plus the added security that comes with being part of an organization with a carefully designed business model and support structure. Enjoy the freedom of being a business owner while working side by side with a team of professionals dedicated to helping you achieve your personal and professional goals. With the Office Pride brand, reputation, systems and network, you will immediately have impeccable references and marketing materials. Our proven financial and operational tools and 24/7 support will help you grow and impress prospective clients to earn and keep their business.